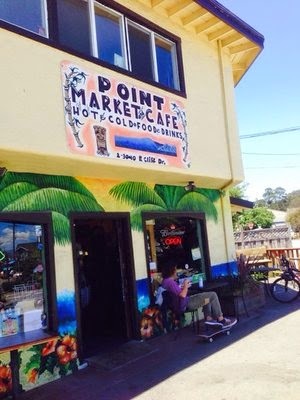 Point Market is best known for their killer breakfast burritos that run from $5-$7. They have a burrito to suit everyone. The “Barrel” is a burrito masterpiece of eggs, potatoes, bacon, avocado and cheese. Once you have your new favorite burrito, walk across the street and watch the locals surf. Tip: You only need order a small burrito as the size difference between a large and small is minimal. This will save you a buck or two. There is a grocery store to fit everybody’s fancy in Santa Cruz. They range from Savemart to Staff of Life, small to large, and traditional to organic. Whatever your preference, go select your favorite cheese(s) and crackers and head to the beach. Carpos is a true family restaurant. There is something on the menu for everyone. With its accessible pricing, the wide selection of fish entrees are attainable even for those on the tightest budgets. Never fear you non-fish eaters, Carpos has an incredible skirt steak and chicken tender dishes. Tip: Carpos also has an award winning salad bar that can be paired with the soup of the day or chili. For around $10 this is a deal with the salad bar being all you can eat. Pop into Gayle’s to discover your new favorite cake or pastry. Gayle’s is one of the best bakeries in the Santa Cruz region. This local gem serves up premier cakes by the slice or whole. Try their Salted Carmel cake or Princess cake to get a little taste of heaven, slices of cake run from $5-$7. Tip: If you are lucky or at the shop early in the day, look for the day old section, slices of cake, pastries, and sandwiches in this section are half off. This area is not usually marked so you may have to ask the attendant if there are any day olds available. Santa Cruz has many spectacular beaches, which can make it difficult to settle on which one to go to. 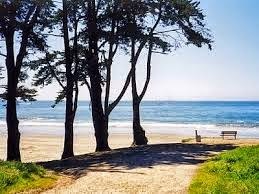 If you happen to be in Santa Cruz on a busy summer day, I would recommend heading to Blacks Beach. The crowds tend to be a little less thick and usually you are only contending with locals and vacation renters for prime beach real estate. The beach is great for swimming and has ample space to play games in the sand. Tip: In the summer, permits are required on the weekends to park here between 11am-5pm. Parking is strictly enforced so either pay the $7 for a permit or park a few blocks back in a non-permit zone.